Civil Appeal No.952 of 2010, decided on 21st April, 2011. (On appeal from the judgment dated 25-8-2010 of the Peshawar High Court, Abbottabad Bench passed in Regular First Appeal No.85 of 2010). —-Relevant factors for determination of benami transaction are source of consideration; who exercised custody over the original title deed and other relevant documents at the time they were introduced as evidence in court; who undertook the consideration of the property in question who was in point of fact enjoying qua possession over the suit property and motive for benami transaction. Zulfiqar Khalid Maluka, Advocate Supreme Court for Appellant. Abdul Latif Khan, Advocate Supreme Court for Respondent No.1. M. Munir Paracha, Advocate Supreme Court for Respondents Nos. 3 to 6. Date of hearing: 21st April, 2011. ASIF SAEED KHAN KHOSA, J.—The dispute giving rise to the present appeal pertains to Bungalow No. 423 situated in Jinnahabad Township, Abbottabad Cantonment and the plot of land underneath it which plot was purchased in the name of Dr. Asif Ali Khan, respondent No.1 herein, through a registered sale-deed dated 29-5-1983. On 15-6-2007 respondent No.1 filed a suit for declaration, possession, perpetual injunction and damages against his brothers namely Niaz Ali Khan and Ijaz Ali Khan, respondents Nos. 2 and 3 herein, maintaining that after purchasing the said plot and constructing a bungalow thereupon respondent No. 1 had allowed respondents Nos. 2 and 3 to occupy the bungalow as licensees but they had become trespassers since they had refused to vacate the bungalow upon his asking. During the pendency of that suit the present appellant, who happens to be the mother of respondent No. 1, had got herself impleaded as a party to the suit and had maintained that as a matter of fact the plot in issue had been purchased by her husband namely Haji Momin Khan (father of respondent No. 1) and the same had been purchased in the name of respondent No. 1 only by way of Benami and the bungalow constructed on that plot had also been constructed by the said Haji Momin Khan out of his own funds. Respondents Nos. 4 to 6 herein happen to be sisters of respondent No. 1 and daughters of the appellant. After a full-dressed trial of the suit the same was dismissed by the learned Civil Judge-I, Abbottabad vide judgment and decree dated 30-3-2010. Respondent No.1 challenged the said judgment and decree through Regular First Appeal No.85 of 2010 which was allowed by a learned Division Bench of the Peshawar High Court, Abbottabad Bench on 25-8-2010 and the suit filed by respondent No. 1 was decreed declaring respondent No. 1 as the exclusive owner of the plot and bungalow in issue, directing the appellant and the other defendants to hand over vacant possession of the said bungalow to respondent No.1 within the next three months and directing them not to interfere in the ownership/possession of respondent No. 1 in any manner. The prayer made by respondent No. 1 regarding recovery of damages was, however, refused. The said judgment and decree passed by the learned Division Bench of the Peshawar High Court, Abbottabad Bench on 25-8-2010 have been assailed by the appellant before this Court through the present appeal. 2. We have heard the learned counsel for the parties at some length and have gone through the record of this case with their assistance. It has been argued by the learned counsel for the appellant that sufficient evidence was available on the record establishing that respondent No. 1 was merely a Benamidar and the actual purchaser and owner of the relevant property was the appellant’s husband and respondent No. l’s father namely Haji Momin Khan. 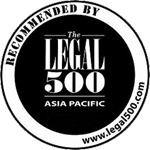 The learned counsel for the appellant has referred in this respect to various pieces of oral and documentary evidence showing that the funds for purchase of the relevant property had been provided by respondent No. 1’s father; the reason for purchase of that property in the name of respondent No. 1 was to avoid some taxes which could be avoided if the property was purchased in the name of respondent No. 1; construction over the relevant plot had not been raised by respondent No. 1 who was not even available in the country .at the relevant time; the title deeds and the other relevant documents had been produced before the learned trial Court from the possession of the appellant and not of respondent No. 1; and admittedly the appellant was and still is in possession of the property in dispute. He has also argued that apart from the registered sale-deed of the relevant property showing respondent No. 1 as the ostensible owner there was no other convincing evidence produced by the said respondent before the learned trial Court supporting his stand that he was the exclusive owner of that property. He has gone on to maintain that the learned Division Bench of the Peshawar High Court, Abbottabad Bench had seriously misread the relevant record before decreeing the suit filed by despondent No. 1 and, thus, the impugned judgment and decree passed by it warrant interference by this Court. As against that the learned counsel for respondent No. 1 has maintained that the facts and circumstances of this case had properly been appreciated by the learned. Division Bench of the Peshawar High Court, Abbottabad Bench and the law applicable to a Benami transaction had also been correctly applied by it to the case in hand and, therefore, the impugned judgment and decree passed by it are not open to any legitimate exception. The learned counsel for the respondent Nos. 3 to 6 has supported this appeal filed by the appellant whereas respondent No.2 has supported the case of respondent No.1. The said observation had been made by the learned Division Bench without realizing that if the transaction in issue was Benami for the sake of avoiding some taxes applicable to the Cantonment area then undoing of that transaction by respondent No.1’s father would have ipso facto attracted the very taxes which were meant to be avoided and that was why till his death respondent No. 1’s father had not sought to undo the transaction. Looked at from this angle, the reasons recorded by the learned Division Bench for deciding this factor in favour of respondent No.1 were, if we may observe with respect, quite unreasonable and irrational. In this very context the learned Division Bench had also placed a heavy reliance upon the fact that one of the brothers of respondent No.1, who is respondent No. 2 herein, had admitted the claim of respondent No. 1 regarding the nature of the transaction in issue but the learned Division Bench had failed to appreciate in this context that respondent No. 1’s mother (the appellant herein) and his sisters and another brother (respondents Nos. 3 to 6 herein) had never accepted respondent No. 1’s claim as correct. The learned Division Bench had found that the learned trial Court had failed to advert to this aspect of the matter which was “a dishonest omission” on its part without realizing that a somewhat similar omission had also been committed by the learned Division Bench itself by failing to notice the response of the appellant and respondents Nos. 3 to 6 to the claim of respondent No. 1. 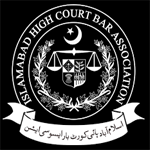 The discussion made above has convinced us that all the factors relevant to the question of Benami transaction had not been correctly or properly appreciated by the learned Division Bench of the Peshawar High Court, Abbottabad Bench with reference to the evidence available on the record of this case. 4. Our own assessment of the evidence produced in this case by the parties before the learned trial Court shows, and shows quite clearly, that as per the statement made by respondent No. 1’s own witness namely Niaz Ali Khan (P.W.3.) the funds utilized for the purchase of the relevant property had been made available from the bank account of respondent No. 1’s father and also that a purchase of that property in the name of respondent No. 1 was to help in avoiding some taxes applicable in the Cantonment area wherein the property to be purchased was situated. Another witness of respondent No. 1 namely Ghulam Murtaza. (P.W.5) had admitted before the trial Court in so many words that the construction on the purchased plot was raised at a time when respondent No. 1 was already out of the country. It is not disputed by the learned counsel for respondent No. 1 that although the same had been asserted by some witnesses of respondent No. 1 orally yet no independent or documentary proof whatsoever had been brought on the record of this case by respondent No. 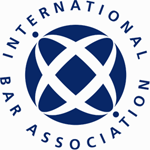 1 establishing that for the purpose of raising of such construction respondent No. 1 had delivered to any person or remitted any sum of money from abroad. The appellant happens to be the real mother of respondent No.1 and she had categorically maintained before the learned trial Court that the transaction in issue was a Benami transaction and the funds for that transaction had been provided by her husband namely Haji Momin Khan who was the father of respondent No.1. The appellant, surely, was the best person to know about the real nature of the transaction in issue and also to know about the reason for making respondent No. 1 the ostensible owner of the purchased property. The statement made by the appellant as DW-3 had found sufficient support in that respect from the statement made by Salim Sardar Ghauri (D.W.5) who was the Manager of the relevant bank from where a Bank Draft had been got prepared for the purpose of making payment for the transaction in issue. The record of this case clearly demonstrates that the title deed as well as the other related documents had been produced before the learned trial Court in original by the appellant and not by respondent No. 1 and also that the appellant has throughout remained in possession of the property in dispute eversince its purchase on 29-5-1983. As against all that respondent No. 1 had merely relied upon the registered sale-deed showing him the ostensible owner of the relevant property and the oral evidence produced by him in respect of the factors relevant to a Benami transaction had failed to travel beyond mere verbal assertions which had found no material support from any document at all. Keeping all these considerations in mind we have felt sanguine that the learned trial Court was quite justified in dismissing respondent No. 1’s suit. 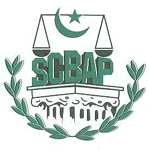 This appeal is, therefore, allowed, the judgment and decree passed by the learned Division Bench of the Peshawar High Court, Abbottabad Bench on 25-8-2010 are set aside and the judgment and decree passed by the learned Civil Judge-I, Abbottabad on 30-3-2010 are restored. There shall be no order as to costs. .